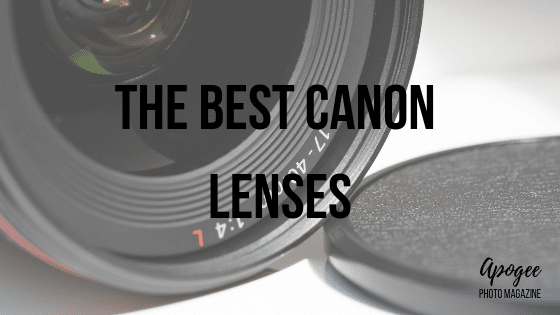 With so many options on the market, choosing the best Canon lens for your photography can feel like a daunting task at even the best of times. But now add in the fact that there are different formats of Canon DSLR, each with their own specific lenses, and things can only get more confusing. For example, although photographers can use Canon’s full-frame-capable EF lenses on cropped-sensor APS-C bodies (albeit causing a 1.6x change in effective focal length), it’s important to bear in mind that the opposite is not true. 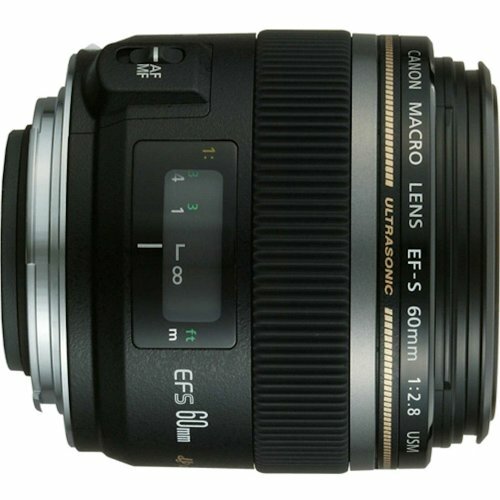 Lenses labeled EF-S are specifically designed for smaller APS-C bodies and cannot be used on a full frame Canon camera at all. If you’re a contended APS-C user and think it unlikely that you’ll ever want to move up to a full-frame camera in the future, EF-S lenses will probably be the best solution for you. Especially as EF-S models tend to be considerably cheaper than their EF series equivalents. 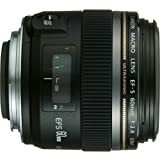 However, if you have an inkling that you might one day grow out of the cropped-sensor format, and at some point want to upgrade to a higher resolution full-frame camera, then it may prove a wiser investment to purchase EF lenses right from the outset – so as to save on having to buy effectively the same lens again later on. Of course, the one problem with this tactic is that the 1.6x crop factor means that a lens appropriate for one type of photographic task on a full-frame camera (say a 50mm for general shooting) will be better suited to producing an entirely different kind of photograph when mounted on an APS-C body (i.e., your “standard” 50mm is now effectively an 80mm “portrait” lens). This means that you’d need to plan your lens purchases extremely carefully. You don’t want to end up with a collection of inconvenient focal lengths when making the move to a full-frame body further down the road. In order to help you decide which lenses you should go for, we’ve compiled a list of some of the best Canon lenses currently available, in both EF and EF-S formats. 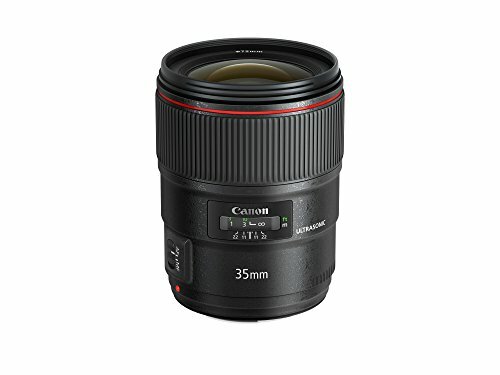 In search of some more general info about camera lenses and what to look for when purchasing them? Check out our guide, Camera Lenses. 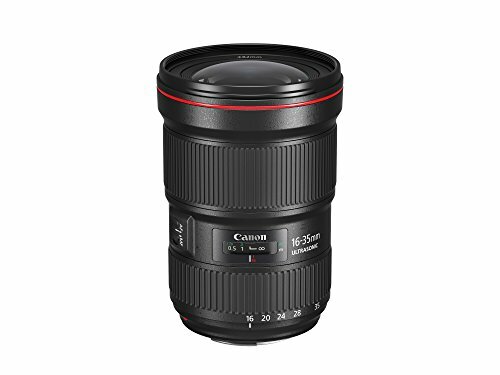 For those Canon users looking to gain an exceptionally wide field of vision, the 16-35mm f/2.8L III offers incredible sharpness and beautiful color rendition with a fast and consistent maximum aperture – making it a true pro-level option. What’s more, the build quality is superb: solid, heavy, and very well-made. Just as you’d expect from a Canon product at this high price point. The mark III exhibits much-improved sharpness over previous iterations of the lens, with great clarity and detail right to the edges, and significantly reduced distortion too. Although bear in mind that you should always expect some slight distortion towards the sides from such a wide angle lens. However, despite its otherwise quite amazing optics, be aware that this lens displays considerable vignetting when used at the 16mm setting. For many though, this will not be a significant concern. The 16-35mm will be of particular interest to those photographers who regularly shoot weddings, architecture, interiors, or astrophotography. While undoubtedly it’s a lens that will also do a fantastic job of shooting landscapes, fast glass is never going to be a landscape photographer’s priority. 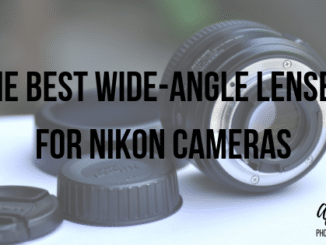 So if shooting landscapes is the primary use you plan to make of your ultra wide angle lens, bear in mind that there are much cheaper options available in this category for those who are willing to forego a stop or two of light. Finally, it’s worth mentioning that for most people the 16-35mm f/2.8L III will not be an ideal choice of lens for travel photography either, simply due to its considerable weight. 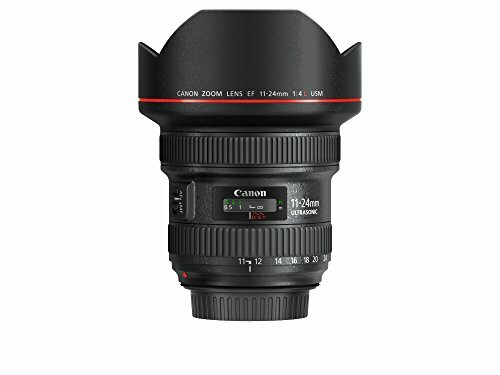 For Canon full-frame shooters looking for even further reach, the EF 11-24mm f/4L USM is as wide as they come, making it a highly-prized lens for those photographers who regularly shoot landscapes, interiors, night-sky photography, and extreme sports. 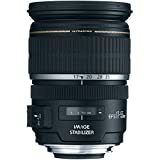 With a slower maximum aperture than the 16-35mm f/2.8L III (above), the 11-24mm is less well suited to wedding and events photography. However, at least that f/4 setting is available throughout the entire zoom range. In any case, a lens this wide is of only very limited use when shooting people anyway, as you’d almost need to be close enough to look right into your subject’s nostrils to fill the frame. With a closest focusing distance of just over 11 inches, this would be feasible. However, at such proximity perspective distortion would be very unflattering indeed. Aside from some slight color fringing and distortion, image quality is excellent, and photos taken with the lens display fantastic sharpness and contrast across the frame. There is some minor vignetting when used wide open, but this disappears as you stop down to f/5.6. Autofocus is lightning fast, and despite being made from plastic, build quality is very solid and durable. The lens’s bulbous front element extends somewhat when zooming. However, it is protected by a permanently attached lens hood. Overall, then, this is a premium quality lens, displaying excellent sharpness, at an unparalleled angle of view. The downside? 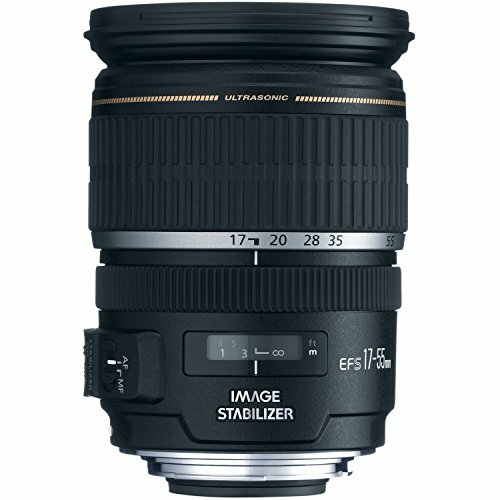 Well, apart from being very heavy, the EF 11-24mm f/4L USM is even more expensive than the 16-35mm f/2.8 above! For many street and documentary photographers, a fast and fixed 35mm lens is all the glass that’s needed. 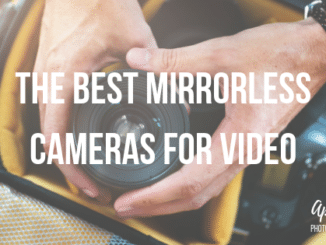 Indeed, this is probably the most versatile of all focal lengths, allowing you to shoot pretty much everything from wide street scenes and urban landscapes to dynamic action shots. You can even do nice intimate portraits while including a good amount of the background in the frame: yet without causing too much unflattering distortion of the subject’s face. And as 35mm lenses go, they don’t come much better than the Canon EF f/1.4L II USM. Indeed, when zoomed in on the retouching monitor, it’s evident that the mark II is much sharper than the previous version of the lens – even when used at its widest aperture setting. Corner sharpness too is excellent, and there’s also less distortion in this area than with the first version of the lens. Colors are great, and there’s no noticeable chromatic aberration whatsoever – saving some time in post production. However, while the lens’s curved aperture blades produce nicely rounded light balls, out of focus rendering is pretty average overall, so it’s perhaps not one for those seeking buttery bokeh bliss. Anyone looking for a cheaper option might consider the much, much older first version of this lens: optically it’s perhaps not quite as good. But in practice, most users will likely not notice a huge difference. Meanwhile, it has the advantage of being considerably smaller and lighter. 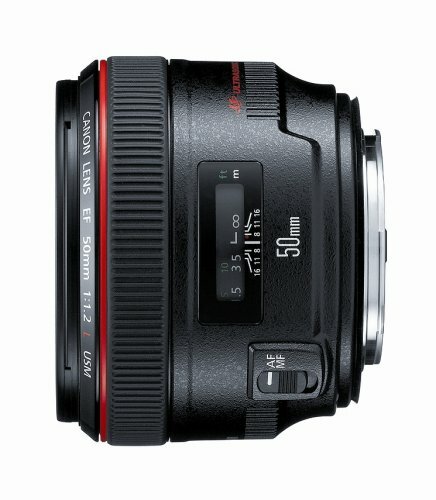 The Canon 50mm f/1.2 L USM is a chubby little “standard” lens for full-frame Canon cameras. It will also double up as an excellent portrait lens if used on APS-C bodies, where it offers an equivalent focal length of 80mm. However, this is not your usual run-of-the-mill nifty fifty. For a start, it’s exceedingly expensive. Some may think shockingly so, given that it comes without image stabilization and won’t focus close enough to be used for macro photography. Indeed, it’s a simple little lens, featuring classic no-frills Canon design, with no more on the barrel than an AF/MF selection switch and a nice, smooth manual focus ring. And while autofocus is admirably silent and accurate, it isn’t especially fast. So what’s the fuss about? Well, mostly image quality. Not in the sense of being outstandingly sharp and free from distortion though, but more in that it produces a unique quality of image, with excellent bokeh. It’s also exceedingly fast, permitting shooting even in very low light and allowing the user to obtain a narrow depth of field. To be clear, when it comes to sharpness and distortion the f/1.2 L certainly isn’t bad, yet it’s perhaps not quite as good as we might have expected from a prime lens in this price bracket, particularly when used at f/1.2. What’s more, there’s also some very evident purple fringing when the lens is used wide open – even at the center of the frame – which gets noticeably worse as we move towards the corners. 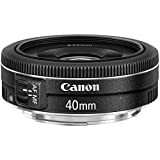 Considering these minor disappointments, then, why is the Canon 50mm f/1.2 L USM in our list of the best Canon lenses? Well, for a start, sharpness and contrast already massively improve in the center when shutting down just a stop to f/1.8. But as previously mentioned, the reason to buy this lens is in any case not for clinical lens-wide sharpness. Rather, the L is worth the high asking price on account of its fast aperture, top quality build, and very attractive out of focus rendering. And if you’re shooting portraits with the aperture wide open for swirling bokeh, which is what this lens really excels at, corner sharpness becomes irrelevant anyway. Purchase this product between May 1, 2016 and July 30, 2016 and get 13 months of free damage protection from Canon. 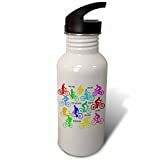 The product must be registered within 30 days of the purchase date to be eligible. While specialized lenses for portraits, landscapes, etc. certainly have their uses, sometimes all you want is a single, multipurpose zoom you can carry around all day and still pull a decent shot out of pretty much any situation you come across. For cropped-sensor Canon users, the selection in this department is pretty limited though. Especially once the lighting gets a little gloomy: most EF-S zooms spanning a wide range of useful focal lengths tend to come with a pitifully small maximum aperture. Or one that quickly shrinks the moment you move away from the widest zoom setting. Thankfully, though, for those willing to invest some serious money in this area, the Canon 17-55mm f/2.8 IS USM comes with a fast f/2.8 fixed aperture, so you can keep shooting even when the light fails. It also offers excellent image quality: already pretty sharp at f/2.8, by the time you stop down to around f/5.6 resolution is truly remarkable and images are vignette-free. Sure, as you might expect with a wide-angle zoom, there’s some slight distortion – but certainly not anything worth worrying about. And purple fringing is not an issue at any setting. What’s more, focusing is fast and mostly very accurate too. However, somewhat less positively, the lens features fairly uninspiring bokeh action. But while not creamy smooth, at least out of focus areas don’t suffer from any unpleasant harshness. Despite the cost, build quality is not outstanding either. Nonetheless, it’s a rather heavy lens, one that would likely nosedive if used on an exceptionally lightweight body. But given that a lightweight body usually also equals a cheap body, and that the lens itself is anything but cheap, this is in any case probably an unlikely pairing. With their often inferior optics, typically small maximum apertures, and conspicuous phallic protrusions, there are many reasons why documentary and street photographers will often go out of their way to avoid zoom lenses. But for prime purists who want to walk around with a single discrete lens and be done with it, there remains the near-unresolvable dilemma of precisely which discrete lens they should go for: a 35mm or a 50mm? A 35mm lets you get plenty of the scene in the frame, but isn’t ideal for portraits or getting in close to the action. A 50mm is much better for the portraits and close-ups, but won’t allow much room to maneuver when working in a confined space or wanting to capture a wide vista. As in life more generally, the best solution is often a compromise. And here it is, in the form of the Canon EF 40mm f/2.8 STM pancake lens for full-frame cameras. No more fretting that you can’t get enough of the scene in the shot with the 50mm. And you can stop worrying about being too far from the action with the 35mm. Pop on the 40mm, and you’re ready for anything. 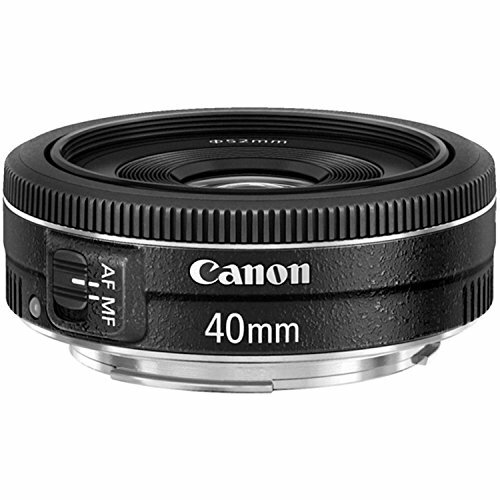 The 40mm features fast and silent focusing, produces super attractive tones, and is very sharp. It’s also rather well built – but given that a lens this small is less likely to receive knocks in the first place, this is almost of no consequence whatsoever. Featherlight, slim and unassuming, the 40mm is a great little multipurpose tool, allowing you to get in close and throw the background out of focus whenever required, or step back a little and capture plenty of the scene when you need. It even comes at a very reasonable price. Why would you need anything else? The Canon 85mm f/1.4L lens is a dream for portrait photographers who work with a full-frame camera. And it’s a lens that excels at low light shooting: not only due to the fast aperture and very effective onboard image stabilization, but also thanks to the excellent light-transmission qualities of its internal optics. So if you’re a portrait, wedding, events, documentary, or travel photographer – and can stretch to the relatively high asking price – the f/1.4L should be way up on your wants list. Being a USM model means that manual focusing with this lens is direct, rather than relayed by electronics via the camera body. This makes the focus much more responsive than is the case with focus-by-wire lenses. The lens also features a nice wide and grippy focus ring that’s very satisfying to use, rendering manual operation a real pleasure. When used wide open, the f/1.4L is very sharp in the center, but somewhat less so at the edges. Remember, though, that this is intended to be a portrait lens: just how often you place the subject of your portraits on the edge of the frame is a question only you will know the answer to. Bokeh is super smooth and attractive, and the lens produces very pleasing rounded light circles. Color and contrast, too, are superb. However, be aware that it isn’t quite as contrasty as some of the third-party alternatives within this category. Finally, there’s some slight vignetting and very noticeable purple and green fringing when the lens is used at its widest aperture settings. Lighter than Canon’s older 85mm f/1.2 L II lens, the f/1.4 also features way speedier autofocus. It beats the earlier model on a couple of other fronts too, coming as it does with image stabilization and a high degree of weather sealing – both of which are lacking from the f/1.2 model. So unless you really need that extra stop of light, the f/1.4L is clearly the better deal. 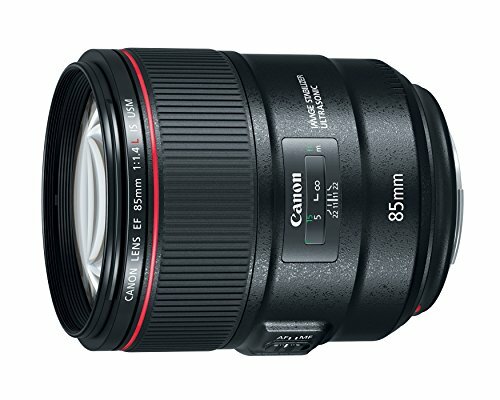 Canon's First 85mm L-series Lens with IS Capability. Macro enthusiasts using Canon’s cropped-sensor cameras currently have several attractive options open to them. Of these, many favor the EF 100mm Macro. However, unless you plan on moving up to a full-frame body at some point in the near future, our recommendation is to instead go with the cheaper and more versatile Canon EF-S 60mm lens. Offering the equivalent of around a 96mm lens on a full-frame body, this is a lens that is well suited to both 1:1 close up work and creative portraiture where a narrow depth of field is desired. Although the 60mm f/2.8 is mostly plastic, it’s quite a solid and durable little lens that is secured to the camera body by a metal lens mount. Those who do a lot of walking with their cameras will be pleased to learn that it is also very small and light, especially when compared with Canon’s full-frame EF 100mm Macro option. However, unlike the 100mm Macro, there is no focus limiting switch. Nor does the 60mm feature image stabilization. However, it does offer a considerably closer minimum focus distance (7.8 inches, compared with the 12 inches of the 100mm lens). Focusing is internal, which means that the front element neither extends nor rotates as you adjust the focus. USM autofocus is fast and accurate, and the barrel features a nice smooth and dampened manual focus ring – essential for precision macro work. Images produced using the 60mm are very sharp at f/2.8 – both in the center and at the corners – with maximum sharpness achieved between about f/4 and f/11. There is however some fairly heavy vignetting at f/2.8. Although given how many people go out of their way to recreate a vignette effect at the editing stage these days, it’s debatable whether vignetting can still be considered a defect anyway. The lens consistently produces excellent bokeh, with the background falling off to a smooth and pretty blur with few contrasty edges. When used wide open, out of focus lights are rendered as nice circular balls. However, the angular sides of the aperture blades become a little more apparent once the lens is stopped down to f/4 and beyond. Equivalent to an 80-400mm focal length in the full-frame format, the Canon EF-S 55-250mm f/4-5.6 IS STM packs a lot of reach into a single small and lightweight APS-C package. As handy as this is though, what really makes the 55-250mm zoom stand out is the fact that it also comes with excellent optical credentials. So not only can you get the subject much bigger in the frame, but the lens will also capture it in stunning resolution too. Closest focusing distance is 85cm, and thanks to a super smooth STM (stepping motor) focus system, the 55-250mm’s autofocus performs extremely well for a lens in this budget-level category. For those who often make use of manual focus, you can quickly override AF by half-depressing the shutter and adjusting manually. Although the 55-250mm is of the “focus-by-wire” variety, and therefore slightly less responsive than true manual focus, it is nonetheless pretty smooth and tactile. Note that although the front element extends significantly when zooming, it doesn’t move at all when focusing, thus permitting the use of filters. At this price point, you don’t get a very fast maximum aperture, nor even a constant one at that. This makes it a less than ideal choice for those who frequently need to shoot in low light. However, bear in mind that the very effective built-in image stabilization will go some way towards compensating for the lack of a wide diaphragm opening. If not particularly outstanding, build quality is at least perfectly respectable – albeit a lot of plastic. The only real potential weak spot is the plastic lens mount. However, given that it’s a very small and lightweight lens, this is unlikely to cause any real problems in practice. Even when used wide open, the 55-250mm is very sharp right across the frame and bokeh is sublimely smooth and distraction-free. The lens does produce a degree of flare and veiling when pointed directly into the light. This is to be expected on any lens of this kind. Importantly though, there’s no ghosting, only some very minimal distortion, and no significant chromatic aberrations to speak of at all. In any case, you can contain such problems with the use of a lens hood. Just be aware that Canon doesn’t supply one with the lens, so you must purchase one separately. 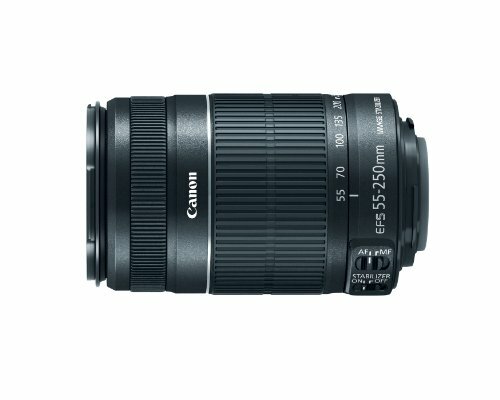 Overall the Canon EF-S 55-250mm f/4-5.6 IS STM is a great consumer-level telephoto solution. Taking over where the 17-55mm f/2.8 IS USM lens leaves off, the pair make a fantastic team for general purpose shooting right across the board, from wide-angle to paparazzo-style pull-up. Whether you’re a sworn cropped-sensor shooter for life, an APS-C owner with their eyes on a full-frame upgrade in the future, or already a full-frame old-hand, there’s likely to be something in our guide to the current best lenses for Canon DSLRs that will have piqued your interest. 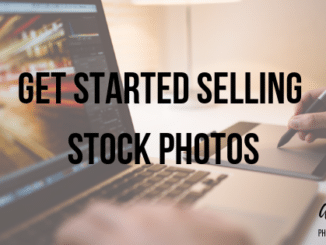 Just remember, though, that while it’s always important to research any prospective purchases of new camera equipment as well as you can, the best Canon lens for you is the one that allows you to shoot the images you want to shoot. For more in-depth tips about how to choose the right lens, take a look at our comprehensive guide, Camera Lenses.